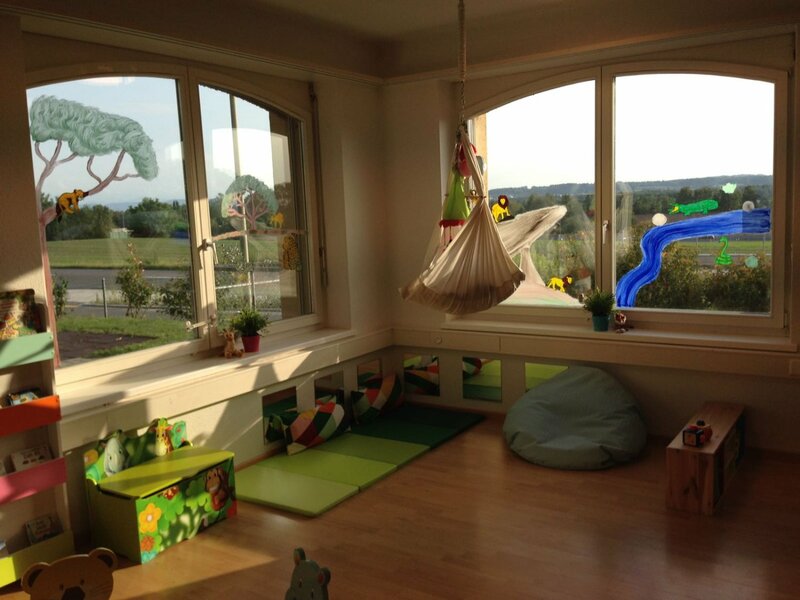 Mini Meadows is a bilingual creche with a warm and friendly atmosphere. We offer a stimulating environment that meets the different age levels, developments and needs of every child. Our creche has a wonderful team of qualified and dedicated, motivated staff. Half or full day child care is available for children aged 3 months - 3 years. 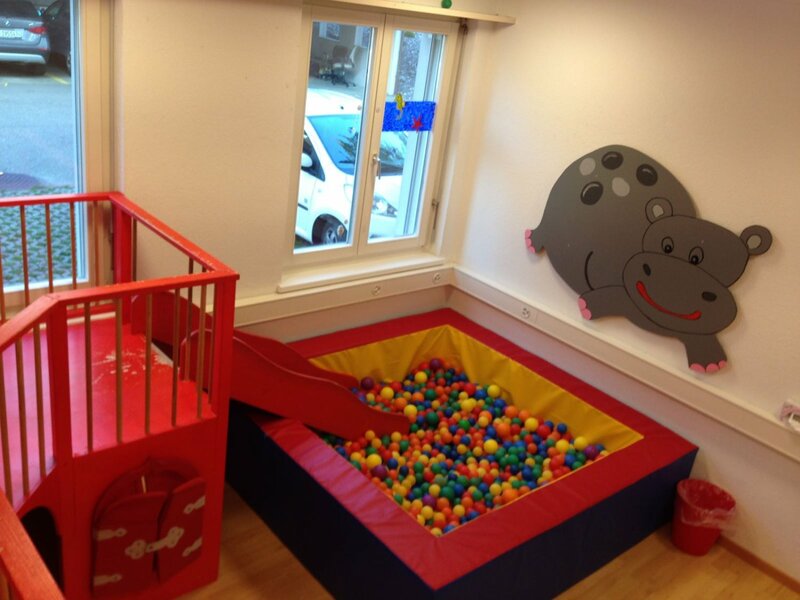 Our creche has 6 spacious, light-flooded rooms. Each room is child-friendly and has its own purpose. There is a large play area for various activities like Lego play, shopping and cooking, a movement room with a large pool filled with balls, ideal for bouncing and wandering around. The sleep room has cots and is a cozy place to rest. Further there is a kitchen, where we eat together and a dressing room. All our rooms are bright, airy, inviting and colorful. We have used a lot of wood, and most of the woodwork is handmade. Our theme is the jungle, this motto runs through all the rooms. Handmade and hand painted animals decorate our walls. A feel-good oasis for our jungle dwellers! We are a social institution that welcomes all faiths and religious backgrounds. We consider ourselves an institution that complements the family lives of the children in our care. Hence, working in harmony with their parents is very important to us. We provide fourteen daily childcare spots at our facility. Children in our care receive the attention and support of qualified staff members, who place just as much emphasis on fostering the social-emotional, cognitive and motoric development of your child as they will on providing room for growth, autonomy, self-confidence and a sense of self-worth. In our interactions with children, accepting every child as a unique, independent personality is very important to us, since this helps every boy and girl to feel comfortable with us. 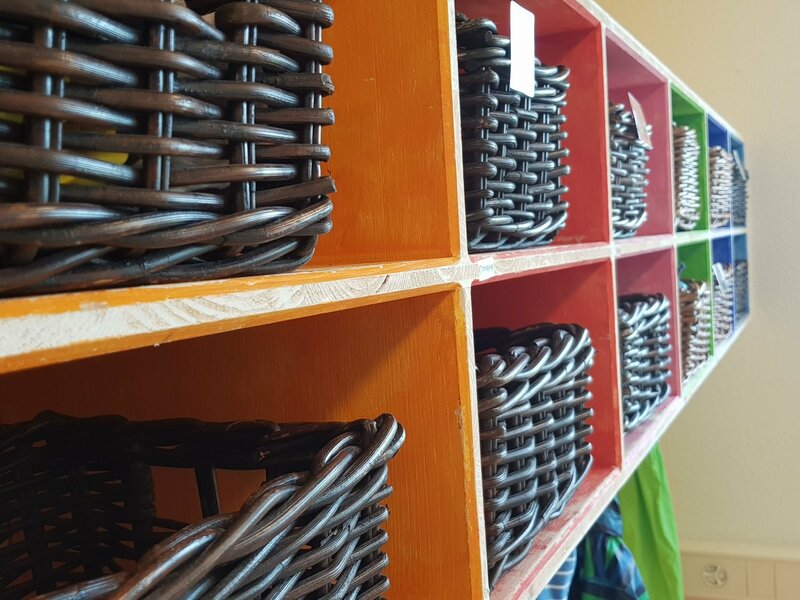 One of our primary goals is to create an everyday environment that accommodates the specific wishes and needs of each individual child. Hence, we create a setting for the children in our care that embraces them along with their skills and talents in a way that encourages them to express themselves and develop their abilities.